AS AN AUDIENCE WE empathise with a subject, in an exchange with the objects of our gaze: posing a relational question between spectator and spectacle. Exploring the dynamic between staged and artificial forms of time and space with an audience, this second series of images renders visible a few examples of enactments where the box is used as an object to channel suspension in a vacuum. Viewing a subject in a box, or similar cubic structure, has an inherently corporeal effect, creating a parallel, imaginary experience for the viewer. There is the potential for a moment where the viewer is held hostage within themselves, an external, out-of-body sensation. 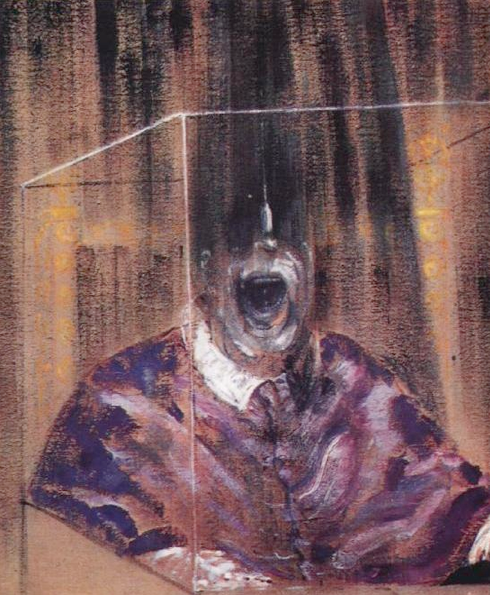 Francis Bacon, ‘Head VI’, 1949. Alban Berg, ‘Wozzeck’, 1925, view from re-enactment at Royal Opera House, London, 2013, photograph by Catherine Ashmore. 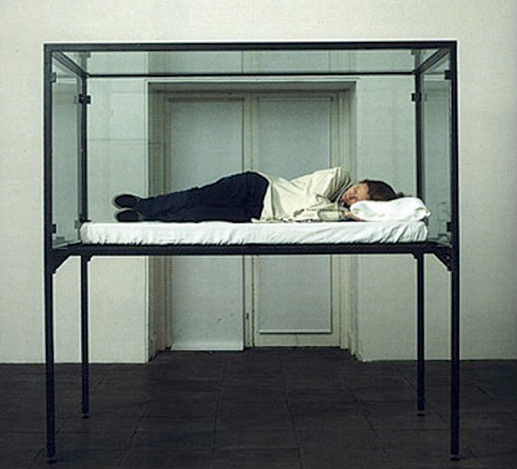 Tilda Swinton; Joanna Scanlan; Cornelia Parker, ‘The Maybe’, 1995. Luca Francesconi (Heiner Muller, 1981-1982), ‘Quartett’, view from Teatro allo Scala, Milan, 2011, photograph by Rudy Amisano. 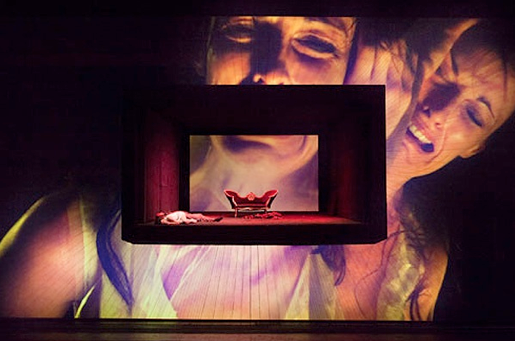 Botho Strauss’ ‘Big and Small’ (‘Gross und Klein’), 1978, directed by Benedict Andrews at the Sydney Theatre, 2011, photograph by Lisa Tomasetti. 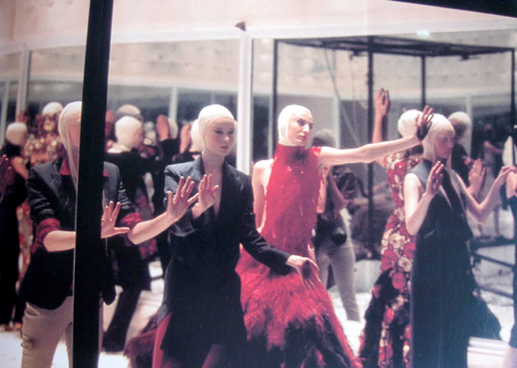 Alexander McQueen, spring/summer 2001 ‘Voss’, catwalk view. 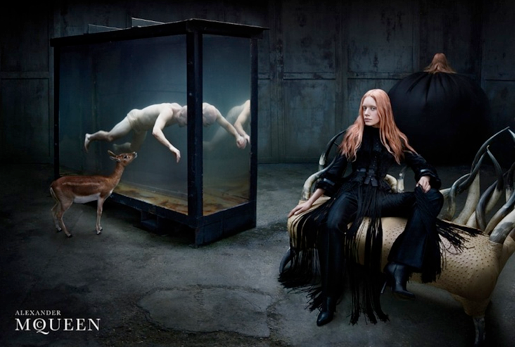 Alexander McQueen autumn/winter 2002 campaign, photograph by Steven Klein. Dsquared2 autumn/winter 2010 campaign, photograph by Mert Alas and Marcus Piggott. 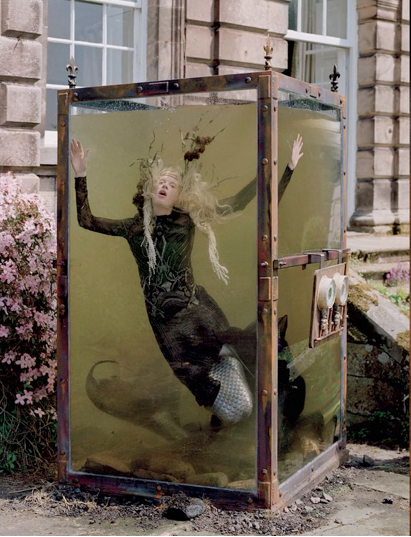 Tim Walker, ‘Far, Far, From Land’ for W Magazine, 2014.